The Chairman, Presidential Advisory Committee Against Corruption, Prof. Itse Sagay (SAN), has faulted Justice Ibrahim Buba of the Federal High Court for granting a perpetual injunction to a former Governor of Rivers State, Chief Peter Odili, which has scuttled the ex-governor’s prosecution. Buba’s order has prevented the Economic and Financial Crimes Commission and any other government anti-corruption agency from prosecuting or arresting Odili, who was accused of allegedly embezzling about N100bn of Rivers State money during his eight-year tenure as governor. Sagay further stated that the case could be reopened, adding that measures were being put in place to ensure that such an order was never granted again. The Senior Advocate of Nigeria stated, “What is happening now is unconstitutional; that judgment was unconstitutional. The judge who gave that perpetual injunction did what was unconstitutional. “In effect, he was saying that the police should not do their work. He was removing the prosecutorial powers of the police and the prosecution in Nigeria. “It is illegal and Supreme Court judgments have said so. So, the whole thing we should do now is to restore legality so that if you are charged, you should be able to come to court and defend yourself instead of asking that you should not be investigated. Responding to reports that the long delay in the case might have weakened the resolve of security agencies as well as compromised evidence, Sagay urged law enforcement agencies not to give up. He added, “The important thing is not to give up because if you give up, the whole system will collapse. “Personally, I have said any judge that gives an order of perpetual injunction against investigation, interrogation and arrest, should be regarded as having committed a serious act of wrongdoing, which should merit disciplinary action by the NJC. That is my proposal and I am going to push it that it should be regarded as an action that should attract discipline. “I can assure you that under the new system that we are all running, there is no case that will be allowed to remain permanently under injunction. They will have to go through the process and be declared guilty or not guilty; in case of suspended cases, where a person is neither guilty nor innocent will no longer be allowed to exist. On December 12, 2006, the EFCC had issued an interim investigative report and prepared a draft of 223 charges against Odili, accusing him of embezzling N100bn during his tenure. In a counter-move, the then Attorney General of the state, and later Nigeria’s Foreign Affairs Minister, Odein Ajumogobia (SAN), on February 23, 2007, sued the EFCC, the then Speaker of the Rivers State House of Assembly, Mr. Rotimi Amaechi, and other defendants in a Federal High Court in Port Harcourt. 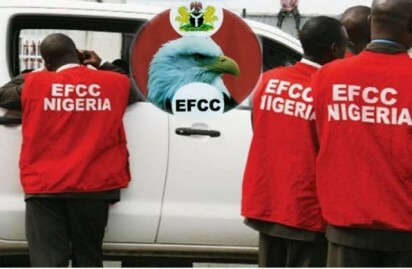 In the suit, Buba of the Federal High Court in Port Harcourt granted Odili’s prayer to bar the EFCC from investigating, prosecuting or ever harassing him and officials of his administration. It was learnt that the EFCC had filed an appeal at the appellate court since 2008 but the case had not been assigned to anybody. A source at the EFCC stated, “We went to see two Presidents of the Court of Appeal but they never showed interest in the case. It has been eight years that we have been trying to vacate that order to no avail. An EFCC prosecutor, Johnson Ojogbene, told reporters recently that the EFCC had appealed the judgment, adding that Odili’s case was presently hanging at the Court of Appeal, Port Harcourt Division. He stated that there was the need for proper synergy between the judiciary and the anti-graft agencies in the anti-corruption fight as there was noting the EFCC or anyone could do to overturn the judgment of any court except to appeal. Ojogbene noted that when the judiciary failed to cooperate, cases could be stalled for ages.